India are all set to take on Australia again in what is being called by many cricket pundits as their best chance ever to win their maiden Test series Down Under. However, in recent times, the performances of the Indian team have been very questionable away from the home. Every overseas series is termed as India's best chance to conquer during the build-up. But India have flunked on all big overseas tours lately. 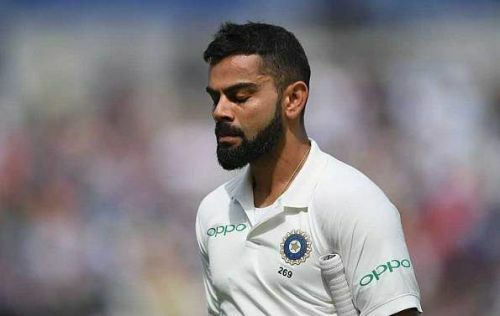 The Indian batsmen barring Virat Kohli have been extremely poor in adapting to the overseas conditions and adjusting their technique. The bowling has been penetrative but not clicked along with the batting to make an overall impact as a team. Australia, even without David Warner and Steve Smith, are still a very potent force at home and will be a hard nut to crack in their own backyard. Let us take a look at 3 reasons why another loss for India in the upcoming Test series cannot be ruled out. India have faced a lot of problems at the top of the order, with their openers not contributing at all in overseas conditions. Barring the hundred against England in the fifth test at The Oval, KL Rahul has looked like a fish out of the water every time he has batted at the top. Shikhar Dhawan lost his place from the side after he failed to score even a single half-century in the four Tests that he played in England. Murali Vijay too does not have runs under his belt and unlike on Indian pitches, looks very unsettled in foreign conditions. 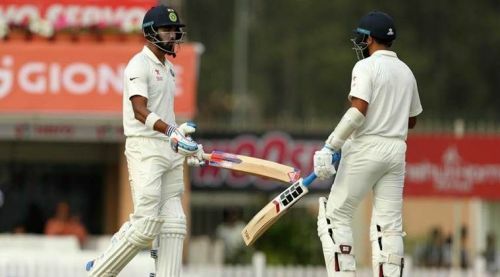 India were dealt a huge blow when Prithvi Shaw, their only ray of hope at the top, was ruled out of the first Test due to an ankle injury. His participation in the rest of the series is under the scanner and even if half-fit, it would be a risk to play him. While Vijay and Rahul scored 129 ad 62 respectively in the warm-up game, that performance can't be read too much into; facing Starc, Hazlewood, Cummins and Lyon will be a totally different ball game. The top-order muddle continues to haunt India, and it could well be one of the reasons why they end up losing the series.